Archived Landsat satellite image derived space map showing villages and terrain in earthquake affected area. 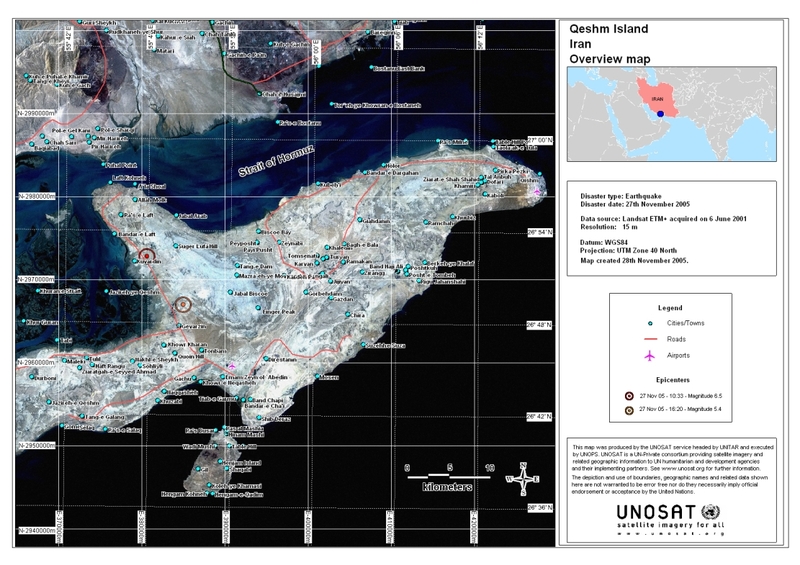 UNOSAT, USGS / Univ. of Maryland, Global Insight Plus / Europa Technologies Ltd.